Here is a roundup of design ideas we love from around the internet, just in time for last minute décor shopping and Thanksgiving prep. And now that Thanksgiving is so close, we can officially say Happy Holidays from Old Glory! And most importantly, happy decorating! You can always come into the store for last minute table setting needs and anything else you may need to get your house in holiday shape. Architectural Digest recently featured a story on Manhattan-based event designer Bronson van Wyck and his holiday décor installations. We love this quote from van Wyck: “But the focus should be on fun and family, and decorations are a physical manifestation of joy.” It’s a great reminder that decorations should magnify what already makes you cheerful in a beautiful and festive way. His designs are very high-end, but they provide so much inspiration for humbler homes (like ours). We love these gorgeous garlands outlining the doors, for example. Read the story here to see more over-the-top inspiration. Our friend Becki Griffin of Curious Details posted such a beautiful post last year about holiday decorating, we just have to share it this year. See how she decorated her bedroom for the holidays: it is beautiful and bright, and such good inspiration for our own ideas. Read her whole post here! House & Home also always has great decor ideas for the holidays. 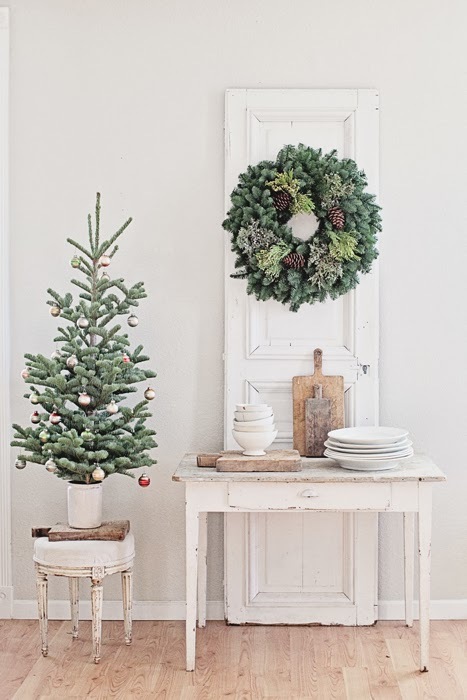 We love this simple but elegant Bauble Art Tableau idea, and this branch Christmas kitchen display would so cool in the right space. Bringing nature in is a great way to celebrate the season in festive style! 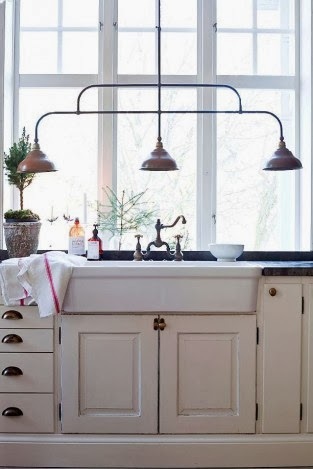 Vintage House is another go-to blog on our list. (Although we mostly just look at the beautiful pictures, because we can't read Swedish all that well, but the pictures are worth it and then some!) 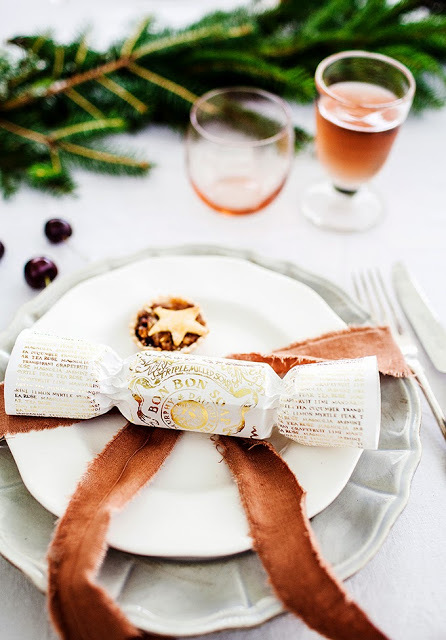 Sandra's latest post about Christmas inspiration is one of our favorites. See all of the photos here. And finally, what would a Thanksgiving round-up be without a recipe idea? We're big vegetable eaters at our house, and this recipe for salt-roasted autumn vegetables looks perfect for the Thanksgiving table. And who doesn't love the timeless combination of olive oil and salt? Thanks to Sunday Suppers for the endless food inspiration. See the whole recipe here. 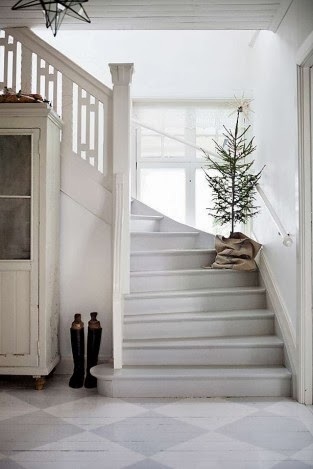 Older PostWindow Shopping: Holiday Decor Ideas from Old Glory!